There are few things as great as wearing a t-shirt from your favorite book, tv show, or movie. So, if you adore Tolkien’s work as much as I do, then you are in the right place! If you see a shirt you like, be sure to click on it to check it out on Amazon! Tolkien T-Shirt #2: The Prancing Pony! 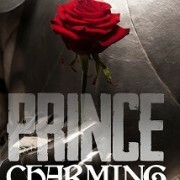 This blog is brought to you by ‘Prince Charming for Hire’ Josh Matson’s debut novel. Click the link here and learn the truth of prince charming for yourself!